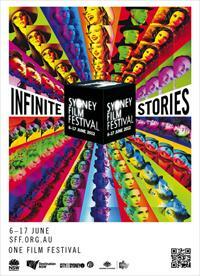 Tatiana Pentes Online management for the 2012 Sydney Film Festival managing brand online, creative and technical content in liaison with The Farm digital agency collaborating with festival's campaign designers Boccalatte Design, marketing & programming team on the look, feel, and editorial content of the site. Working ticketing team to deliver the integration of the ticketing microsite with eFirst. Smoothe integration of the suite of digital media products & social media into the web strategy across: Facebook, Twitter, Youtube, Vimeo channel, Viocorp viotream delivery of digital moving image & sound, podcasts, video gallery & photo gallery, the iPhone, Android and digital electronic program guide, and ticketing eCommerce capabilities. Musica Viva Australia's http://www.musicaviva.com.au mission is to inspire, through classical chamber music, early music, jazz, world music and folk traditions of quality, diversity, challenge and joy, under CEO Mary Jo Capps & Artistic Director Carl Vine. Project managed the re-design & relaunch of the Musica Viva website and educational online resources micro-sites Viva Zone, Baroque On, Hands On Hindson, to achieve a new immersive media experience, enhance UX design, interface, information architecture, usability, navigation and the integration of social media strategy utilising Web 2.0. The web as platform technologies such as Soundcloud, Vimeo channel, Facebook, Twitter, Youtube, Linked In, & Wordpress in line with emerging online trends in interaction have been taken up to communicate/ distribute and motivate user participation, community building, and user generated content. In the process collaborated with filmmakers and music composers to build an online archive The Library of documentaries about contemporary classical chamber music. This significantly transformed/ enhanced & enriched audience engagement and increased online interaction (traffic) with our cultural product. Managed online strategy for MVA marketing objectives (SEO, eDM) with MVA stakeholders, ensure MVA brand is represented professionally, in collaboration with Deepend http://www.deepend.com.au/ B & T online agency of 2009/2010 & AIMIA Awards 2011. Design & launch of 2012 Concert Season Subscription campaign online. 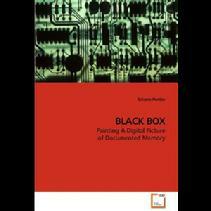 Tatiana Pentes, (2009), BLACK BOX: Painting A Digital Picture of Documented Memory, VDM Verlag, Germany. 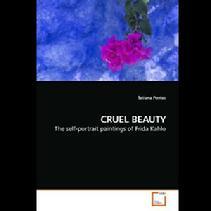 Tatiana Pentes, (2009), CRUEL BEAUTY: The self-portrait painting of Frida Kahlo, VDM Verlag, Germany. VideoDance 2003 - 4th International Dance Film Festival, Thessaloniki Film Festival, Athens, GREECE. Andrew Jakubowicz (Writer/Producer), Tatiana Pentes (Multimedia Design), 'The Menorah of Fang Bang Lu: an online documentary', Evidence (1), VECTORS: Journal of Culture & Technology in a Dynamic Vernacular, University of Southern California, Volume 1, USA, 2005. The dynamic interaction of film, photography & digital media form the basis of Geoffrey Weary's art practice. His recent work has involved an exploration of the space of the museum as an image repository of psychological,emotional and physical presence. In his new work has taken the idea of the image repository and extended the conceptual meaning of the term by incorporating archival, found and simulated imagery into his work. He coordinates the Master of Film & Digital Image, Sydney College of the Arts, University of Sydney. The film also selected for competition in the Panoramas section of the 15th Festival Internationale de Arte Electronica, VIDEO BRAZIL, Sao Paulo, 2005. Nina is the daughter of White Russian parents from Shanghai, China. Her family migrated to Sydney, Australia in the 1950s. Nina is an academic at Monash University (Victoria) in the area of English (Professional Writing). She has recently (re)traced her families journey from mother Russia to China - Moscow to Shanghai on the Trans-Siberian Railway. John is a media artist, critic, & theorist who exhibits inter/nationally. His art practice cuts across a variety of art forms - video, new media, installation, performance and radiophonic art & deals with autobiography, identity, memory, post-colonialism, and the "in- between" links between cinema, literature, & the visual arts. 2000 Conomos was awarded a New Media Fellowship from the Australia Council for the Arts. He also co-edited (with Brad Buckley) the recent anthology Republics of Ideas (Pluto Press) in 2001. He is the coordinator of the Electronic and Temporal Arts Studio, Sydney College of the Arts, University of Sydney, 2005. Rochele was born in Australia and is of Indian & Mauritian (French/African) heritage. Rochele has studied drama and is now enrolled in a Bachelor of Arts at Macquarie University. She and her adoptive parents visit their family in the Indian sub-continent frequently. Rose was born to Chinese parents during the cultural revolution in China. Educated at the University of Technology, Sydney in Journalism in the early 1990s, she worked for the Australian Broadcasting Corporation regional and metropolitan radio. Rose returned to Hong Kong to take up a position as senior journalist at CNN in Hong Kong. [but moonlights as a virtual cabaret dancer]. She visited Athens, Greece to work on an exciting feature. She has given birth to her baby daughter Lucia in New York 2006. Leakhena [Lou-Lou] was born on the border of Thailand & Cambodia in the early 1980's. She flew to Australia - "the land of Golden Lights" as a small child with her [Khymer] mother, but her [French] father remains a mystery.... She is currently in search of her true identity & exploring this through the production of creative work in her Visual Arts degree, photo-media, performance & electronic arts, at the College of Fine Arts, University of New South Wales, Australia, 2006. "I was in search of a land where I could express in a total and unrestricted way those inner questions of the soul that could not find satisfaction in any of the solutions offered by the present patterns of living of this western civilization. After completing my doctorate in philosophy and having worked for some years in both traditional and experimental theatre in my own country, Italy, I followed the callings of ancestral and inexplicable paths and reached this land of Orissa. Here, completely dedicated to the sacred art of indian dance at the feet of my guru Kelucharan Mohapatra, I am able to give shape to the inner striving of the soul and overcome the anxiety of human existance." Padma Priya Raman was born in Bangalore, India & migrated to Brisbane Australia in the early 1980s with her family. She has trained as a Kuchipudi dancer with Guru Padma Menon of the Kailash Dance Academy, Canberra, performing inter/nationally. Padma is a lawyer & is currently Executive Director of the Human Rights Commission http://www.hreoc.gov.au/. Sergei was born to White Russian parents in Harbin, Manchuria. His mother ran a dairy & vodka factory in Tsiensin. At the age of 14 years Sergei traveled to the United States working as a deck hand. Returning to China he worked as a drummer/musician, building a reputation as one of Shanghai's leading orchestra leaders during the 1930's & 1940's. During the communist revolution in China, Sergei & his wife Xenia (singer/dancer) & son Serge Jr won passage on the Chan Sha ship migrating to Australia, 1951.